How many times have you heard on television or read in the media that the Gaza Strip is "the most densely populated area in the world"? Repeating this statement, however, does not make it true. There are dense parts of Gaza, especially Gaza City, Beit Hanoun and Khan Younis, but there are far less dense areas in Gaza between these cities. Just look at Google Earth, or this population density map. The fact that these sparsely populated areas exist in the Gaza Strip raises several important moral questions: First, why don't the media show the relatively open areas of the Gaza Strip? Why do they only show the densely populated cities? There are several possible reasons. There is no fighting going on in the sparsely populated areas, so showing them would be boring. But that's precisely the point—to show areas from which Hamas could be firing rockets and building tunnels but has chosen not to. Or perhaps the reason the media doesn't show these areas is that Hamas won't let them. That too would be a story worth reporting. Second, why doesn't Hamas use sparsely populated areas from which to launch its rockets and build its tunnels? Were it to do so, Palestinian civilian casualties would decrease dramatically, but the casualty rate among Hamas terrorists would increase dramatically. That is precisely why Hamas selects the most densely populated areas from which to fire and dig. The difference between Israel and Hamas is that Israel uses its soldiers to protect its civilians, whereas Hamas uses its civilians to protect its terrorists. That is why most of Israeli casualties have been soldiers and most of Hamas' casualties have been civilians. The other reason is that Israel builds shelters for its civilians, whereas Hamas builds shelters only for its terrorists, intending that most of the casualties be among its civilian shields. The law is clear: using civilians as human shields—which the Hamas battle manual mandates—is an absolute war crime. There are no exceptions or matters of degree, especially when there are alternatives. On the other hand, shooting at legitimate military targets, such as rockets and terror tunnels is permitted, unless the number of anticipated civilian casualties is disproportionate to the military importance of the target. This is a matter of degree and judgment, often difficult to calculate in the fog of war. The law is also clear that when a criminal takes a hostage and uses that hostage as a shield from behind whom to fire at civilians or police, and if the police fire back and kill the hostage, it is the criminal and not the policeman who is guilty of murder. So too with Hamas: when it uses human shields and the Israeli military fires back and kills some of the shields, it is Hamas who is responsible for their deaths. The third moral question is why does the United Nations try to shelter Palestinian civilians right in the middle of the areas from which Hamas is firing? Hamas has decided not to use the less densely populated areas for rocket firing and tunnel digging. For that reason, the United Nations should use these sparsely populated areas as places of refuge. Since the Gaza Strip is relatively small, it would not be difficult to move civilians to these safer areas. They should declare these areas battle free and build temporary shelters—tents if necessary—as places of asylum for the residents of the crowded cities. It should prevent any Hamas fighters, any rockets and any tunnel builders from entering into these sanctuaries. In that way, Hamas would be denied the use of human shields and Israel would have no reason to fire its weapons anywhere near these United Nations sanctuaries. The net result would be a considerable saving of lives. But instead the UN is playing right into the hands of Hamas, by sheltering civilians right next to Hamas fighters, Hamas weapons and Hamas tunnels. Then the United Nations and the international community accuses Israel of doing precisely what Hamas intended Israel to do: namely fire at its terrorists and kill United Nations protected civilians in the process. It's a cynical game being played by Hamas, but it wouldn't succeed without the complicity of UN agencies. The only way to assure that Hamas' strategy of using human shields to maximize civilian casualties is not repeated over and over again is for the international community, and especially the United Nations, not to encourage and facilitate it, as it currently does. International law must be enforced against Hamas for its double war crime: using civilian human shields to fire at civilian Israeli targets. If this tactic were to be brought to a halt, then Israel would have no need to respond in self-defense. Applying the laws of war to Israel alone will do no good, because any country faced with rockets and tunnels targeting its civilians will fight back. When the fighters and tunnel builders hide behind human shields, there will inevitably be civilian casualties—unintended by Israel, intended by Hamas—regardless of how careful the defenders are. Israel has tried its hardest to minimize civilian casualties. Hamas has tried its hardest to maximize civilian casualties. Now the United Nations and the international community must try their hardest to become part of the solution rather than part of the problem. Alan Dershowitz's latest book is "Taking the Stand: My Life in the Law". Was this the article, The Guardian refused to print? The message that Prof. Dershowitz transmits is not part of the discourse in the U.K. at this moment. I've noticed that Israel has even MORE open spaces than Gaza? Why don't the settlers go and live there? This is crucial information and provides a perspective not found on cable or broadcast news. I don't think Professor Dershowitz's was given the opportunity to highlight this evidence-based information during his recent 2 night appearance on a panel with Peter Beinart and Marc Lamont Hill on MSNBC's Chris Hayes Show. I was offended by Hayes choice of Hill for this panel, as Hill has no expertise in Middle East geopolitics. His snickering anti-Israel, anti-Semitic attitude was insulting to Professor Dershowitz and all Jewish viewers. I emailed MSNBC to express my irate reaction to Chris Hayes panel selection. I hope Professor Dershowitz will bring this information to the mainstream. International law states that after a war the aggressor does not automatically get land that is disputed land (not conquered) but only negotiations will decide who gets what. This land of the West Bank (part of the whole of Palestine) was given to Jordan by the British who held the mandate for Palestine. Israel was attacked by Jordan in 1967 and Jordan lost the West Bank to Israel. Basically Israel was actually allocated the whole of Palestine according to Britain in the Balfour Declaration but didn't keep her promise. Looking in from the outside it seems both Gaza and Israel receives subsidies from the rest of the World. Both these areas seem not able to feed their own people or produce all that's needed for their people so they get handouts from elsewhere. However in the Palestinian lands this problem seems most acute in the extreme. Why does a people produce a lot of hungry mouths that they cannot possibly feed by themselves or with the resources they have. History shows us when there is not enough to go around and time are very hard that these conditions are very fertile ground for killing and mayhem. People talk of solutions for this area I say until those conditions change expect more periodic blood letting. Kind and nice words won't change the cruel realities of the situation. 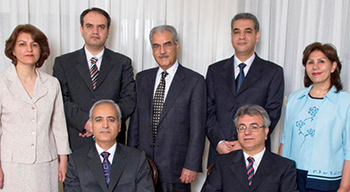 Possibly drop some family planning on all of their heads instead of rockets. The density population in Gaza is similar to that of Hong Kong. It was a former British Colony and is currently a Special Administrative Region of the People's Republic of China. However instead of becoming a hub for terror, Hong Kong focused on economic development. The Palestinians and Hamas should take a lesson from Hong Kong. Susan you wrote "The density population in Gaza is similar to that of Hong Kong." Not quite right. Most of the Gaza population is in 7 towns. The largest is Gaza City, 7-800,000 people (of which nearly 50% are under age 14) at 30,000 /sq. mile. Less than Athens at 45,000 /sq.m. Gaza is not as Hilary Clinton says "quite small, and it's very densely populated". (implying there is nowhere to place rocket launchers except in populated areas). Gaza City is indeed high density, about the same as Tel Aviv. But the seven or so population centres of Gaza cover in total about 20-25% of the land. The other 75-80% is open fields, sand dunes, beaches. Plenty of places to place rocket launchers and tunnel entrances. Check Google maps satellite. Hamas choose to cause maximum casualties amongst their OWN people. That is how they manipulate the PR war. "But instead the UN is playing right into the hands of Hamas," is nonsense. The UN is a well known collaborator with all radical terrorist organizations. The recent one being with Hamas and earlier with Hezbollah in 2006 when the terrorist organization attacked Israel. The pathetic fact is that there is overwhelming bias of Ban Ki Moon and Navi Pillay of the UN supporting and patronizing the Hamas without even taking an objective view of the conflict. So much so one is compelled to agree that they are paid and maintained by the Hamas and their terrorist patrons of Iran and Qatar. While I agree with Mr. Dershowitz that the UN should have set up tent camps in the unpopulated spaces of Gaza, it is doubtful the UN would be proactive enough to do that. What Israel should do in the future is to announce to Gaza, the media, the world, and to the UN of their intention to initiate, in 7-10 days time, a major military retaliation and to designate empty areas that would be safe havens for civilians. This would put the UN on notice and give them enough time to prepare. If they did nothing, which would probably be the case, the world would see and at least civilians would know where they could go and would be safe. If Hamas prevented the UN from setting up tent camps than the world would see that too. I can't see any drawback to Israel and only good can come of it I think. It is a myth, or at best a meaningless slogan, that Gaza is one of the most densely populated places on Earth. Queens, a semi-urban part of New York City, is more densely populated than the Gaza Strip, as are Brooklyn, Manhattan, and the Bronx. In Gaza, the most crowded subdivision is Gaza City, with 46,000 people per square mile. For comparison, neighborhoods in Queens consisting of comfortable three bedroom houses on tree-lined streets (assuming four children per household, lower than the Gaza average) can comfortably accommodate 60,000 people per square mile. Indeed, a large majority of New York City residents live in zip-code neighborhoods that are far more densely populated than Gaza City. Hillary Clinton states "I'm not a military planner, but Gaza is quite small, and it's very densely populated." One might conclude, as a corollary, that Hamas combatants are forced to operate near schools, UNRWA shelters, and homes. This is false. No place in Gaza is located more than 2.5 miles from an unpopulated area. If Hamas positioned rocket launchers and missile storage structures in such areas, no civilian casualties would result from Israeli strikes against these weapons. Certainly, in previous wars, protection of one's own civilians has always been a priority. Even in World War II, V-series rockets launched by the Germans against England were fired not from populated areas, but rather from forests or mobile launchers. It is a tragedy that some recent Israeli strikes may have resulted in the deaths of children. Israel does not target civilians. Any claim to the contrary lies somewhere between falsification of information and blood libels that lie at the heart of classical Jew-hatred, which remains alive and well in the Hamas Charter and in other recent perversions of Islam. Such deaths are unlikely in Israel, where all new construction includes a safe-room, typically protected by reinforced concrete. If Hamas and UNRWA wished to protect children from the consequences of Hamas-initiated wars, they could and would do the same to fortify above-ground refugee shelters against enemy artillery or aircraft strikes. There is more than enough cement in Gaza to do this. In addition, as suggested by a former Revolutionary Guard chief commander in a letter to Iran's President, Hamas could dig tunnels to use as protective shelters. In Gaza, however, protection of civilians is not on the Hamas agenda. For years, cement has been used instead to construct the huge network of terrorist tunnels just destroyed by the Israelis. One may reasonably ask how much U.S. humanitarian aid designated for home reconstruction was diverted toward this project. It would also be of interest to learn how many Palestinians were sacrificed to construct these tunnels. Perhaps one could make a reasonable inference from the fact that 160 children, valued for their small size and agility, died during the construction of an earlier tunnel network, at the Rafeh border crossing with Egypt, as reported two years ago in the Journal of Palestine Studies. Given all of the above, it is indeed disturbing that John Kerry's State Department, with little information to go on, described as "disgraceful" the unintended and regretted deaths of ten Palestinian children as a result of Israel's targeting of Hamas combatants driving past an UNRWA school. I am curious as to Mr. Kerry's characterization of the predictable and inevitable civilian losses, staggering in magnitude, that were caused by American strikes on Hamburg, Dresden, Berlin, Tokyo, Hiroshima, and Nagasaki less than seventy-five years ago. Dershowitz does not give any numbers about population density of Gaza strip. According to Wikipedia the overall population density of Gaza strip is 5045 inhabitants per square kilometer, third biggest in the world after Singapore and Hong Kong. So the overall population density of Gaza strip is one of the biggest. That does not of course rule out the possibility that there are large open areas inside Gaza strip and that Dershowitz's arguments are valid. It would have been however interesting to know how much of Gaza strip's total area of 360 square kilometers is empty space? These facts are ignored by the UN. You must send this article to Mr. Ban ki Moon who yesterday condemned Israel without a word about the terrorists of Hamas. If the leaders of the U.S. the U.K. and Europe would read and accept Alan Dershowitz's suggestion that the U.N. not be complicit in the strategy of Hamas, things would change. The people should have been moved to the sparsely populated areas. The U.N. did not exercise enough oversight on the schools by allowing weapons in those buildings. Many of us have lost faith in the U.N. Brilliant observation, Alan, just brilliant! Shame on the so-called journalists who could not begin to think of this angle. Exactly right. War crime is provoking war and putting your own civilians under fire of the other side to claim you are a victim. That's right. The media told us during the last 4 weeks the people of Gaza had no place to go because the Gaza strip is so crowded. No, rather the Hamas thugs didn't allow the people to leave the city. And if there are no enough dead people they manufacture more victims, using their pallywood movies. As usual, our learned counsel, Mr. Dershowitz proves he is the best at constructing cogent, logical, and watertight arguments. He is certainly a mensch with his heart in the right place and can show those anti-Semites the truth. The UN opposition and the Western press, however, has started with the sentencing first, trial afterward, to paraphrase the King in Alice in Wonderland. The UN, in effect, sealed the death warrant of Gazan children when they commissioned and accepted the Goldstone report. This document proved that Hamas would not be held accountable for the atrocity of using children as human shields, thereby giving them permission to proceed. The UN cannot be bothered to consider legal matters when dealing with those people that they hate, i.e. the JEWS. And, clearly, no one cares about the Gazan children except the IDF soldiers who died instead of attacking indiscriminately. For this the soldiers deserve the Nobel Prize, but they have something better, recognition by G-d. If Hamas did not want to use civilians as shields they could have allowed them into the underground bunkers. Even Iran commented on this. How come CNN, BBC, Huffington Post and other biased media did not come to this same logical conclusion? Half of Gaza is open areas -- why did they predominately shoot from built up areas? They were hiding behind children and women! They wanted them dead so people would turn on Israel is the answer (this is in the Hamas manual found by the IDF). "The law is also clear that when a criminal takes a hostage and uses that hostage as a shield from behind whom to fire at civilians or police, and if the police fire back and kill the hostage, it is the criminal and not the policeman who is guilty of murder." As this site is international, could you clarify *whose* law we are talking about here? US? UK? Other? A most enlightening article from Alan Dershowitz. I was certainly unaware of the vast amount of unoccupied land which could be used to house the Gazans thereby relieving their plight. A very enlightening article but, only to be expected from Alan Dershowitz. I was certainly unaware of the amount of land that can be used to house the Gazans who are homeless. A brilliant idea! No one could say it better; the UN is 'off base' as usual. Abba Eban's remark that the UN would pass a resolution sponsored by Algeria, saying that the world is flat, by a vote of 168 vs 28 with 26 abstentions is surely true. Alan Dershowitz as usual writes clearly and to the point and knowing him from his writings I am sure that what he says is the truth and that in fact Hamas is playing real dirty if not criminally, and the media and the leaders in the west fall for it and try to put the blame wholly on Israel. Thank you Prof Dershowitz again for the latest article which is very informative. What better way to purge themselves of collective guilt than to turn things around onto Israel (created from the ashes of the holocaust) and to make the 'moral' claim that Israel is a perpetrator of war crimes? You know, I know, but also U.N.know, the EU know, but they are hypocrites and false humanitarians pretending they DON'T KNOW ! I hope Ban Ki Moon's organisation reads & takes in the points made in this article....Is the UN totally ineffective by choice,or by willfulness? The author, Alan Dershowitz, has done a very good job of showing one more aspect of Hasas' hypocrisy, and he has written other pieces that make a very good case for Israel -- not that clear thinking people need that case, but the "low information voters" as Rush calls them, certainly do. Thank you. And it does appear that generally, in other aspects of the Israeli victory, analysts are also doing great work and that this time, the world will be able to see the perfidy, the viciousness, the selfishness of the Palestinian autocrats, who, we are learning, live in mansions in Qatar, not in Gaza, a slum--now that is a subject that should be investigated thoroughly. It is really galling that American tax dollars are going to these people so that they can live the high life. "That is why most of Israeli casualties have been soldiers and most of Hamas' casualties have been civilians." You've bought into the civilian casualty propaganda. How many of the so-called civilians are Hamas terrorists in civilian clothing hiding amongst women and children? I would be willing to bet it's more than half. Gaza is 139 sq miles with a population of 1.8 million. Brooklyn is 96 sq miles with a population of 2.5 million. Note that Hamas has executed a brilliant anti-Israel campaign as part of its terrorism tactics. Apart from the obvious firing from densely populated areas it has ensured that no militia, armed thugs or organized military action or military alive, armed, dead or injured are ever shown on the media. Only civilians and children are ever shown and the staging is evident in almost every case. I have also noted on many occasions apparently dead people with no blood or apparent injuries only to see the "dead" person clearly walking away from the scene a little later. Not saying that there have been no civilian casualties but the numbers reported and those reporting are in many instances complicit in the deception. One just doesn't know what to believe any more and anything coming out of Gaza where Hamas can censor, intimidate and stage scenarios should be treated with great suspicion. The UN of course has become nothing less than a sham as it never talks if the acts of terrorists but is always quick to condemn Israel without checking the facts. If I can see the staging so can they.. The next thing the Hamas terrorists will be wearing is diapers and the UN, Europe and the news will be accepting them as babies killed. That will be unquestioned reporting. Good article......I'm also wondering if there is any agriculture going on in these "empty spaces". Why do they need so much foreign aid??? Food aid......are they growing anything, manufacturing anything? These are some very meaningful and important points to make regarding the locations that Hamas chooses for their missiles. What people have failed to highlight to the media and to the public is simply, why do they have rockets? What is the purpose of Hamas being militarized at all? 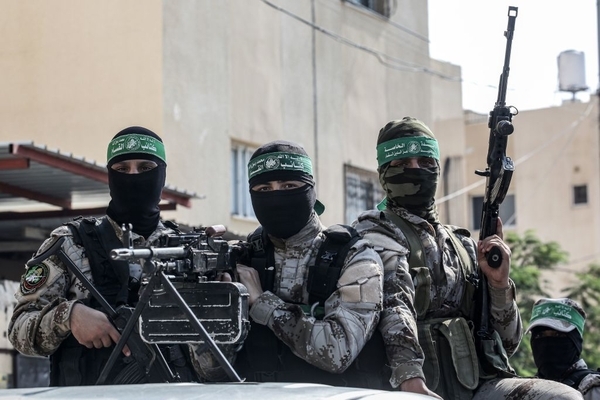 Nobody believes that Hamas has obtained rockets and military capabilities to defend themselves, nobody believes they have armed themselves to be a strong country that can defend its citizens or even to be able to accomplish any military goals. The purpose of possessing these weapons is for the purpose of terrorizing people and for trying to terrorize them enough where they will have to fire back. You hit the nail right on the head. Hamas is not in the game to protect their population, the population is there to protect their terrorists. Their world is completely up side down. They are a death cult. The West is totally ignorant, totally in the dark regarding Hamas' real strategy... kill all the Jews. That is why they live. Looking at these maps suggests a thought that might work for the IAF. Tell the civilian population of Gaza to move out of the cities because the cities will be leveled. Let them pitch tents by the sea for a week and then carpet bomb everything; turn the towns into Dresden. Many of the terrorists will doubtlessly hide by mingling with the civilians but none of the rockets will be left or any other armaments. Now they need refugee camps to get away from their own people who have occupied their refugee camps. Soon those refugees can claim they are another Arab nation. Good points! And perhaps Israel can use its vast empty spaces for settlements--instead of building them in the West Bank! A dense world that believes Hamas -- a paragon of the virtues of lies, dishonesty, fakery & masters of deviousness. Cowards never face the truths, never face the enemy. Cowards induced reportage by threats to publish what suits Hamas propaganda machine. It is obvious to anybody but to those who shut their eyes, ears & mouth how Hamas plays a game with the Gaza Arabs by using these poor saps for canon fodder, while the leadership luxuriates in safety in Qatar. Those armchair reporters should get off their ... and check the story. It would be good if you overlaid the missile launch locations onto the population center images included in this article. Dear Mr. Dershowitz. Thank you so much for your article. Everything you wrote, I agree with. I don't understand the world. So many smart people and they can't figure this out and stand up for what is right. Bless you. "But instead the UN is playing right into the hands of Hamas, by sheltering civilians right next to Hamas fighters..." Yeah, sure. The terrifically unbiased UN is just an innocent bystander, accidentally and unknowingly playing right into the hands of Hamas. Take a look sometime of the number of Islamic state members of the UN. I love how all of this information is coming to light AFTER the fact! Though, I doubt the world at large would even believe the truth were it to be handed to them on a silver platter! Sad! But it does undermine the similar Israeli argument that Israel "is too small" and is "too narrow" and can't protect itself. If Gaza doesn't consist of poverty stricken Ghettos, then I guess Israel can't argue that it's "narrow middle" is dangerous and they need to annex parts of the West Bank for protection. Of course, Israel is the one with the threatening army that fires 10 times more missiles at Palestinians than Palestinians fire at Israel. It is evident that most politicians, and many journalists, have no idea of the legal meaning of the terms 'war crimes,' and 'proportionality.' Professor Dershowitz has touched on these in his most informative and illuminating article, but it would be very helpful if a full and authoritative definition were published, to which the ignorant could be referred. Hamas deliberately and brutally oppresses Gazans. The media is undermining western values of freedom of the press by not telling the full story. Western media perpetuates Hamas' lies. It is so obvious to those which truly seek justice, that Hamas uses their own people as shields. Israel goes overboard to try and limit civilian casualties to the point that the terrorists are allowed to escape, while the Palestinan people take the brunt of the attack. I am an American and former U.S. Army veteran, and appalled by my own government's stance on this conflict, regarding the need to limit civilian casualties. Our own President and his administration have been criticized for the drone strikes in Pakistan and Afghanistan which have caused civilian casualties, however we write it off as the fog of war....well it's the same in Israel's case. In fact it's even worse, because Hamas intentionally fires from these civilian positions in order to create casualties that the world will condemn. I know there are many out there who are against Israel, but there are also many who know the real truth and support Israel in their fight against these barbarian terrorists! It'll be a while before I'll be able to use these words again. They have been gutted of their rightful meaning, and instead resonate with the searing clamor to tie Israel's hands in its mission to defend itself. Thanks Alan Dershowitz for providing yet more detail about this disaster. Perhaps it needs Israel to take the UN to the world court, with the backing of good non-Israeli but pro Israeli lawyers for levelling the playing field. Yisra'el does not have a right to defend itself. Yisra'el has a responsibility to defend itself - fight for your wives, and your sons, and you daughters. It is the responsible thing to do. The world will never applaud Yisra'el's demonstration of responsibility. Keep on being responsible! I find these arguments unpersuasive. South East England has empty, open, spaces, but overall it is densely populated in terns of the average number of people per square mile: as is Gaza. Many of the civilian casualties of Israel's attacks have been in areas such as UN shelters where there has not been Hamas activity, and which are officially designated 'safe zones': but still come under attack. Finally Mr Dershowitz accurately observes that any country facing tunnelling and rocket attacks would fight back: but from the perspective of those inside Gaza, any territory being blockaded by land, sea, and air would also fight back ! But hasn't Israel expanded its territory in Palestinian land over the last few decades and brought in settlers to live on it. Isn't that provocation. The trouble is that there are no adults left on the world stage. Obama is the permanent leftist with Islamist sympathies, late participant at the tail-end of the hippy generation and perhaps a quisling who lucked into an office way above his punching weight. The UN is a great gathering of totalitarians enjoying their daily tea at the expense of the West as they plan their next rhetorical attack on Israel and new ways to transfer wealth from the good guys to the bad guys. The EU and Britain are stuck in a mess of their own creation, too many Islamist extremists already using their numbers and growing influence to both con and terrorize all nations into submission. Putin is busy re-creating the Soviet Union under his iron grip as Obama gave him the green light to do "after the election." The Middle East and parts of Africa are falling to the worst savage Islamists known to mankind, Christians are being ethnically cleansed, but nobody is willing to challenge their murderous authority - especially the dhimmi UN that worships the ground the Islamists soak with the blood of 1000's of women and children. The only reason that such a small numbers of Gazans are dead (minus the terrorists who make up over 75% of the total) is because Israel is way too careful and tender and cognizant of a world that would have made sure that such attacks from a terrorist mob like Hamas would never be repeated on their consecrated soil (Israel is a glutton for punishment and way too soft and attentive). Frankly, the people of Gaza voted for Hamas after the ousted Fatah (same guys, Fatah in suits, Hamas in fatigues and face cover). There is no free choice, no freedoms and no peace in all of the Muslim world at this time. The people seem to want it that way and until they want otherwise (and they will let us know) then they are responsible when their primal urges for war, terror and jihad take a toll on their own people…they are indeed responsible for deaths on both sides of a war that they started and keep fueling with the hate of Islamism. 99% of all UNRWA employees are local "Palestinian" Arabs. Why does not someone expose UNRWA for what it is. Their purpose has never changed: "In order to keep the refugee issue alive and prevent Israel from evading responsibility for their plight...". There is nothing about any resolution of the plight of the Palestinian. UNRWA United Nations Relief and Works Agency for Palestinian Refugees in the Near East is designed for only "Palestinian" Arabs... 2011's count about 4.681 million, and operates in 5 countries. While UNHCR, UN High Commission for Refugees deals with every other refugee in the world... 2011's count, about 23,500 (except one group, "Palestinian" Arabs) and is operating in 123 countries. UNRWA gives only humanitarian resources to anyone who lost his place of residence and means of livelihood as a result of 1948 Arab-Israeli war.....but unlike all the other refugees in the world...this refugee was able to marry more than one wife while bequeathing his "refugee" status to the next generation. UNRWA will consider no options but the return to the place of origin...considering it an inalienable right...now for the rest of the world's refugees there is no such right....the goal is to help refugees get on with their lives, protect them and find asylum in the country of refuge or in a third country when return is not possible. The UN has no intention of becoming "part of the solution". Navi Pillay is the United Nations High Commissioner for Human Rights and represents the ugly face of this body to Israel. Its agenda is to routinely accuse, find guilty and vilify Israel and to serve as a propaganda tool for the object of damaging her people's morale, harming her international relations and giving credibility and comfort to her enemies. The UN is an ally to Israel's enemies supporting a deadly campaign fought on various levels including the psychological and material. The UN has been hijacked by nations and groups that ensure its partisanship and its destiny to remain part of the problem. The "Laws of War" do not apply to terrorists who violate most everyone of the tenets of the Geneva Convention. No uniforms, no country, treatment of wounded, of prisoners and human shields are just a few of the chosen techniques of the cowards known as "terrorists"
However, "A dead terrorist is a good terrorist and obeys all the rules."